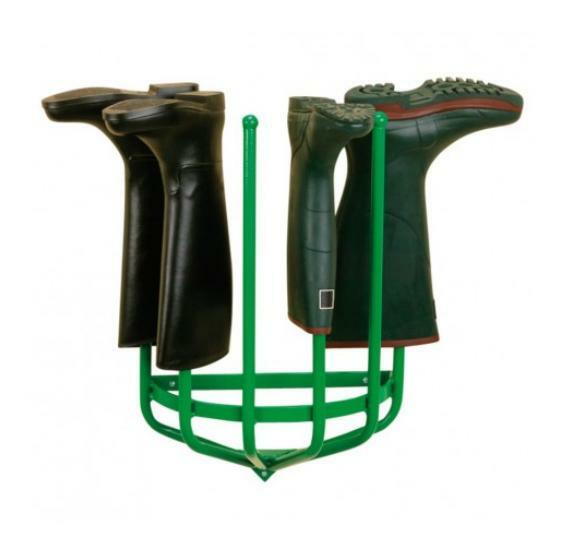 The Stubbs Welly Crown is a generous size with solid wrought iron safety knobs, yet amazingly compact too. Stores three pairs of boots in radial style for handy selection. Strong wall mounted rack. There are currently no questions for Stubbs Welly Crown - be the first to ask one!